Our Coastal Region of Port Stephens is located on the East Coast of Australia. 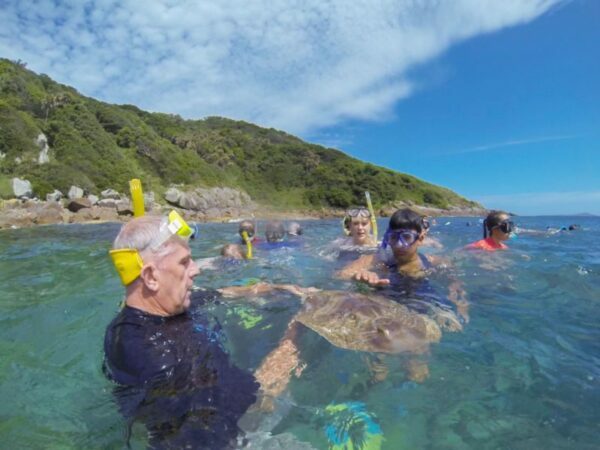 We are home to Tomaree National Park as well as an amazing Marine Park. There are nature experiences available in Port Stephens and festivals to celebrate all elements of our beautiful region. Port Stephens is rightly regarded as the dolphin capital of Australia. Many bottle-nose Dolphins call Port Stephens home, which is why they’re sighted so often. Bring along a camera and your swimmers. Most vessels have a boom net where you can get wet and have an exciting ride. From May to November you can witness the awe-inspiring antics of the whales as they pass along our coast.Over 12,000 whales, mostly Humpbacks pass within a few miles and a whale watching cruise is an unforgettable experience. In Nelson Bay and Shoal Bay are the perfect locations to hire a Kayak or Stand Up Paddle board (SUP). Enjoy the calm waters of the bay and explore or clear blue waterways. If you are lucky you may even spot a Dolphin along the way. For those looking to learn a new skill then head over to One Mile Beach for a learn to surf lesson. This stunning beach is the best location to learn with small waves to have you surfing by the end of your first lesson. 3. Swim with Wild Dolphins You won’t believe your eyes! There is no other encounter like this. Wild Dolphins choose to join us as they move through the open water meters from you. You return home knowing that the dolphins remain wild, unharmed and free in their natural environment! Explore the largest living sand dune system in Southern Hemisphere on a Quad bike. Stopping atop the high dunes, there are 360’ view of the lands with fresh water lagoons and midden sites (tool and burial sites) which can be spied from this vantage point. 5. 4wd Sand-boarding Adventures Here’s a high adrenaline adventure you’ll be talking about for weeks. 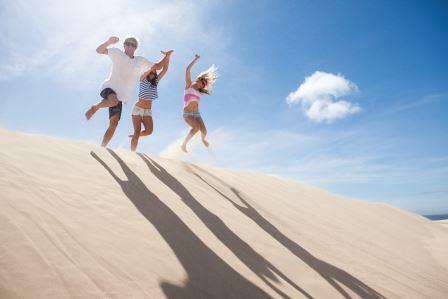 Sand boarding on the Stockton Sand Dunes is a great experience for the whole family and many tours depart regularly. Stockton Bight has a special cultural significance to the Worimi people with a large amount of cultural history. Discover more about the dunes and what lines within on a 4WD tour taking you over the dunes to explore a place you will never forget. If its adrenaline your after Toboggan Hill Park has it, take a challenge on the 1 km Toboggan Run reaching top speeds which will keep you wanting more, rock climbing offers easy and challenging walls for all ages plus lots more. Race around a 350m track with fast straights at Go Karts Go, the biggest fastest and most exciting go kart hire track, perfect for ages 5 years and up. Just up the road an exciting encounter experience awaits. 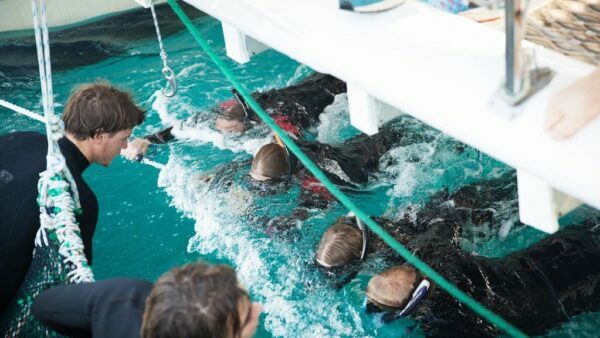 Children and adults can hand feed, pat and play with some of the most awesome creatures in the world, Sharks and Rays at Irukandji, an experience you will never forget. Tomaree Summit is a walk well worth the effort. 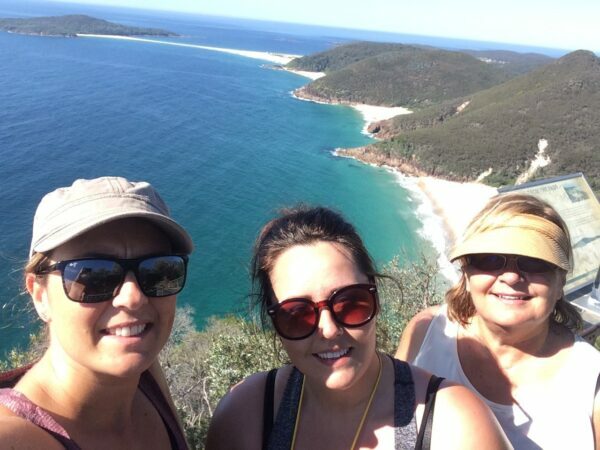 The view at the top overlooking all of Port Stephens is truly breathtaking. Tomaree National Park provides a magnificent backdrop to the coastal towns and villages of Nelson Bay, Shoal Bay, Boat Harbour and Anna Bay.Keep your eyes out for koalas dozing high in the trees. It’s easy to see why this location was chosen – the headland features panoramic views of Port Stephens and the coast. What a great way to discover the area. Port Stephens is great for cyclists and bike riders from serious mountain bikers right through to families who enjoy a safe and scenic bike ride. A Port Stephens bike ride offers amazing views and very little traffic. From Salamander Bay right through to Fingal Bay pass some spectacular water-views from Bagnalls Beach to Dutchies Beach to Nelson Bay, some shaded riding through bush, reserves and plenty of parks, playgrounds and cafes along the way. Shoal Bay Bike Hire offers easy to ride bikes that will easily transport you around the area up and over the gentle hills along the bay, or pick one up 24/7 from Boomerang Bikes at dÁlbora Marina Nelson Bay. Experience the peace and tranquility of our beautiful surrounds here on horseback with Sahara Trails. Enjoy one of the scenic guided trails or amazing beach rides with the beach and dune extravaganza, definitely a memorable experience for the whole family from the absolute beginner to the most experienced ride. For something a bit different and unique, a camel ride is for you with Oakfield Ranch. 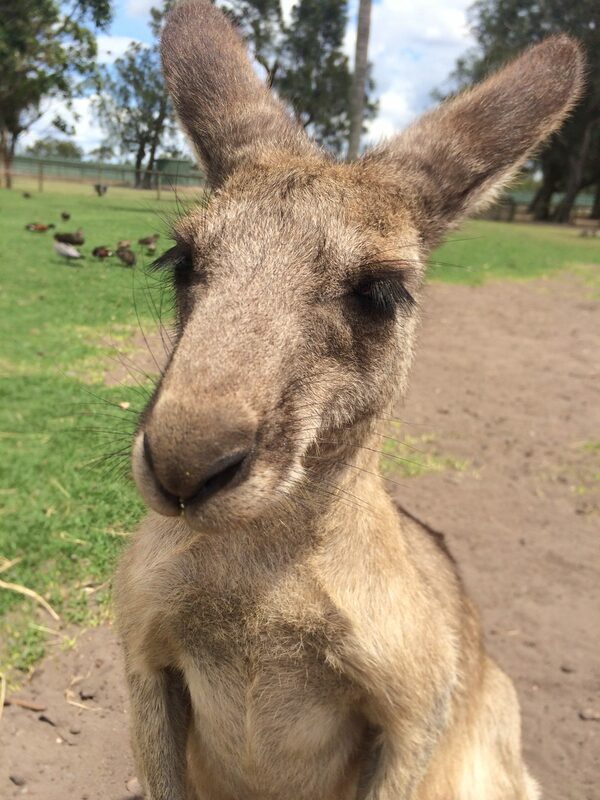 Get up close and personal with cuddly farm animals and Australian wildlife. Bottle feed baby animals, hand milk cows, pat koalas, and more at Oakvale Wildlife Park. All guests are encouraged to embrace the opportunity to interact with the animals as they roam freely around the park.